The sixty-two cars that will contest this Sunday’s Hi-Tec Oils Bathurst 6 Hour, at Mount Panorama, will represent no less than seventeen different manufacturers. 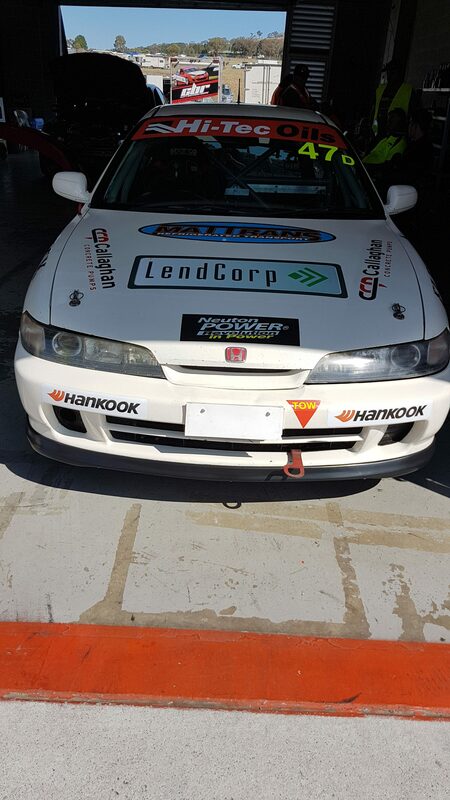 While Holden, BMW and Mitsubishi are very well represented across the board, Honda’s hopes ride with the Class D entry, of David Baker, Matthew Windsor and Brian Callaghan Jr, in the Easter Sunday classic. 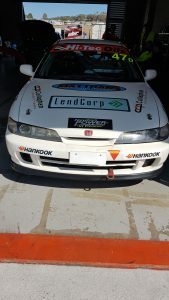 The Honda Integra is the sole Honda on the grid for the third running of the Hi-Tec Oils Bathurst 6 Hour, as the David Baker Racing team embark upon their second Mount Panorama assault. 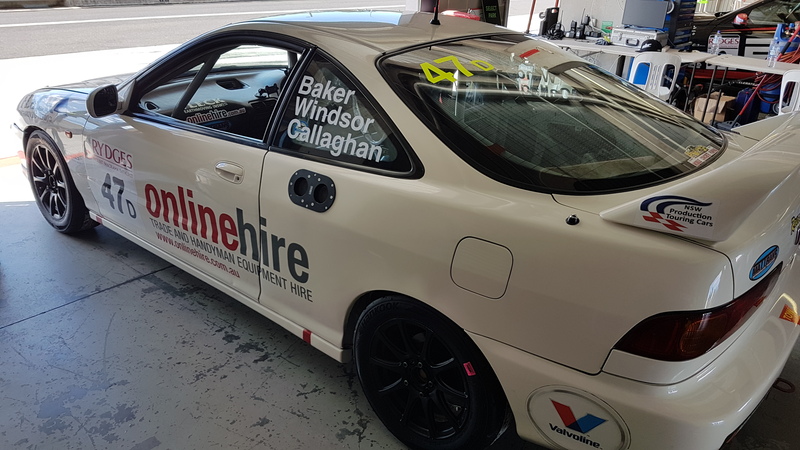 The team expands to a three driver line-up for 2018, with Brian Callaghan Jr joining Matthew Windsor, who drove with Baker in 2017. Last year, Windsor was a last-minute substitute for Callaghan, who had to relinquish his drive due to medical reasons. Callaghan returns this year, as part of the family oriented operation, to make his 6 Hour debut. Callaghan is Baker’s Uncle, and is just one part of an incredible family legacy. 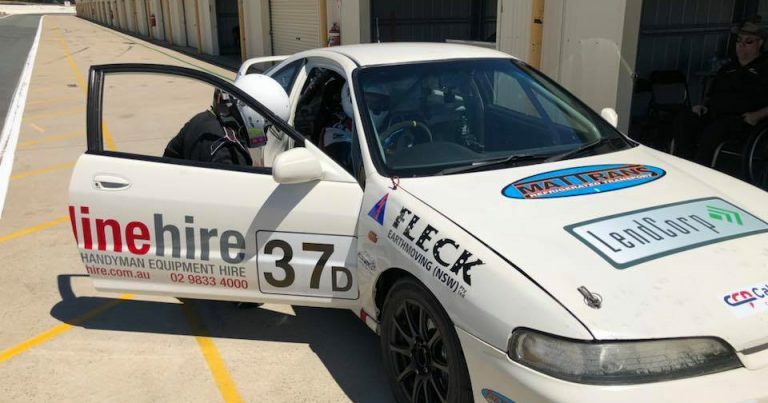 Brian, his sister, Michelle, and father, Brian Snr, all have history with Mount Panorama., with Michelle noting that Brian’s participation in this race marks the family’s 25th start in an enduro at Mount Panorama. Brian Callaghan Senior is best remembered for his partnership with Barry Graham (father-in-law of 2017 Bathurst 6 Hour winner, Luke Searle). The pair drove together in the annual Bathurst 1000 on several occasions, with a best finish of 6th outright, in 1988. Brian Snr, Michelle and Brian Jr have all competed in the Bathurst 12 Hour, and the legacy continues with David and Brian Jr’s participation in the 6 Hour. Matthew Windsor is no stranger to Mount Panorama either. 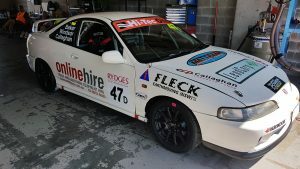 The Bathurst local has driven just about everything around this circuit over many years, across a range of different events. Windsor’s been a regular on the grid at Bathurst Light Car Club Hill Climb events, competed in a handful of Bathurst 12 Hour’s, and competed in Sports Sedans, Group N and Improved Production, when they’ve served as a support category at the event in the past as well. Last year, despite suffering a blown gasket mid-race, Baker and Windsor finished seventh in Class D – a very respectable 40th outright. For the last two seasons, Baker has competed, in this car, in the NSW Production Touring Car Championship. In 2017, he walked away with the third place trophy in the Class D championship, behind the two men who were battling for, not only the class championship, but outright points honours as well, Jimmy Vernon and Daniel Smith. This weekend, the team return to Mount Panorama hopeful of a smoother run than the one they endured in 2017. 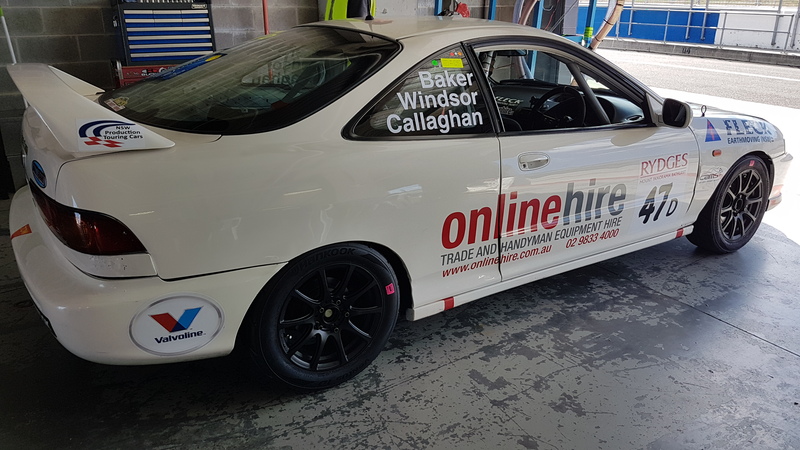 Baker’s team have been hard at work over the off-season, preparing, testing and fine-tuning the Integra as they gear up for their biggest event of the 2018 season. They go into the weekend hopeful of a strong result, maybe even a podium finish, but they know they’ll have a fight on their hands in the 7-car class, with the Toyota 86 of Graeme and Joshua Heath the car to beat in the battle for class supremacy. Practice gets underway this morning, ahead of Sunday’s 6 Hour. You’ll be able to see the race LIVE on FOX Sports 505 from 11:15am AEST on Sunday morning.